Users of forest growth simulators are often faced with specific problems requiring a growth simulator with specific capabilities. Because of the great variety among the existing growth simulators, it is not always an easy endeavour to find an appropriate one. In this situation a standardised description is very helpful. 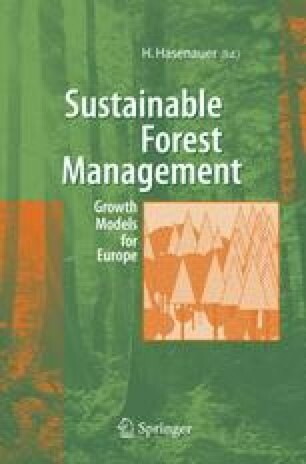 The description of the growth simulator PrognAus for Windows 2.2 follows the recommendations of the German Association of Forest Research Institutions for the standardised documentation and further development of forest growth simulators. It should facilitate the comparison of various growth simulators and help potential users to find the appropriate simulator for their specific needs.